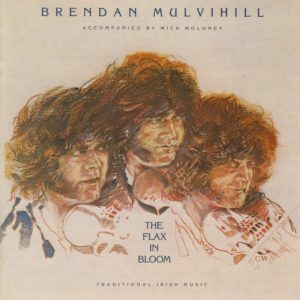 Born in Northampton, England in 1954, world-class fiddler Brendan Mulvihill immigrated to New York when he was eleven. On the night of his arrival in the states, Mulvihill attended an Irish music session, and from that moment on he dedicated his life to playing Irish music. At the age of seventeen, Mulvihill moved back to England, where he stayed for years playing with the Birmingham Ceili Band. In the next few years, Mulvihill won both the junior and senior All-Ireland fiddle championships as well as the Senior All-Ireland duet with Brooklyn-born accordionist and friend Billy McComiskey. In 1975, Mulvihill returned to New York and began playing with McComiskey and Co. Kerry immigrant Andy O’Brien, forming the trio The Irish Tradition. The trio moved to the Washington D.C. area after a few gigs, and has been based there ever since. They have since been accredited with establishing the area’s rich Irish cultural life that has blossomed since the trio’s arrival. After several years and more albums, the trio disbanded, though stayed in the D.C/Baltimore area. 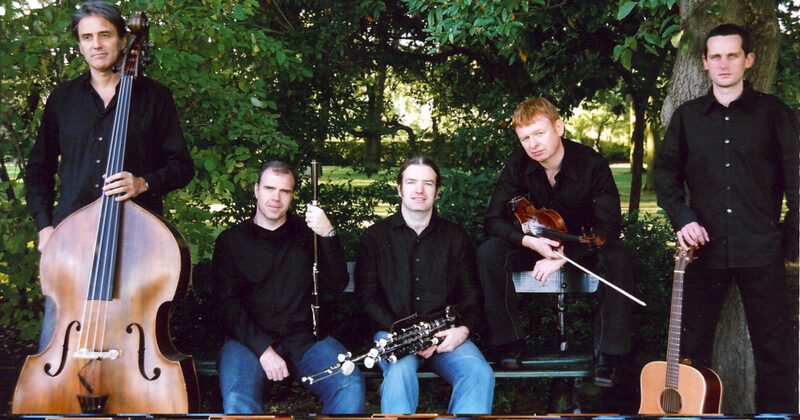 In the time that followed, Mulvihill played with musicians such as Paddy Keenan, Martin Hayes, and John Williams before touring with pianist Donna Long as part of the Masters of the Folk Violin Tour. Specials with PBS and NPR, White House performances, and a stint with the Green Fields of America all-star tour followed. Born in county Sligo, Seamus McGuire grew up in a family that valued both classical and traditional music. He began taking classical violin as a child, and by the time he was a young teenager, he was proficient in both classical violin and traditional Irish fiddle. At the age of fifteen, McGuire won the Fiddler of Dooney competition, soon followed by the Oireachtas (Regionals) senior Irish Traditional fiddler title. As a young adult, McGuire played with the Dublin Symphony, and in 1983, he and his brother, Manus, formed the band Buttons and Bows with Jakie Daly and Garry O’Brien, a group that would prove to be one of the most influential in Ireland at the time. Buttons and Bows took traditional Irish melodies and mixed them with traditional music from Canada, Scandinavia, and the Shetland Islands, creating a poignant, multi-dimensional sound. The band recorded three albums, all of which were widely acclaimed, and together the quartet toured all over the United States and Canada. 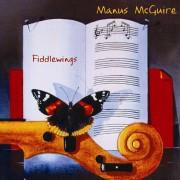 In 1995, McGuire got together with guitarist Arty McGlynn and flautist John Lee to produce an album of “forgotten” flute and fiddle tunes deriving from Co. Leitrim, titled The Missing Reel. Also in that year, McGuire released a solo album titled The Wishing Tree, 1995, wherin he bridges the gap between classical violin and traditional world music. One of the contributors on The Wishing Tree was Belfast cellist and composer Neil Martin. Together with violinist Niamh Crowley and violist Kenneth Rice, they went on to found the West Ocean String Quartet in 1999, which has gone on to “effortlessly to combine tradition and innovation like nothing on earth.” The West Ocean String Quartet has released two albums and has gone on to collaborate with some of the most prestigious Irish traditional artists of the age, including Dervish, Tony McMaus, Maighread Ni Dhomhnaill, Cathal O’Searcaigh, and Mary Black, among others. Paddy O’Brien, button accordionist and musicologist, was born in Co. Offaly, Ireland, in 1945. Throughout his life, O’Brien has been one of the leading forces in song and tune collection of the Irish tradition. O’Brien spent years amassing traditional songs, folklore, and tunes, accumulating over 3000 jigs, reels, and marches alone. 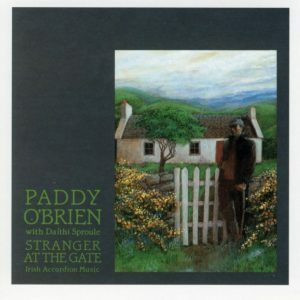 In 1994, O’Brien received a grant from the National Endowment for the Arts for the mass recording of over 500 tunes to be published in the Paddy O’Brien Tune Collection: A Personal Treasury of Irish Jigs and Reels. In his young adult years, O’Brien made his debut as a button accordionist with the Ballinamere Céilí Band in 1966. He then toured with U.S. in a trio before winning the solo accordion competition at the 1969 Oireachtas. In 1975, O’Brien won the highest honor in his field, the All-Ireland Senior Accordion championship. Until the late 1970s, O’Brien lived in Dublin, playing with John Kelly and Joe Ryan, as well as the Castle Céilí Band and Ceoltoiri Laighean. In 1978 he relocated the the U.S. to create the band Bowhand with fiddler James Kelly and guitarist Dáithí Sproul, with whom he released Is It Yourself? (Shanachie,1978) and Spring in the Air (Shanachie, 1980). In the early 1980s, O’Brien joined with Seán O’Driscoll and singer/guitarist Tom Dahill to form the group Hill 16. They debuted a self-titled album in 1984. In 1988, O’Brien issued his first ever solo record with Green Linnet, Stranger at the Gate. Later, in 1995, O’Brien joined with singer/guitarist Pat Egan and piper Michael Cooney to form Chulrua, (Cool-roo-ah) with whom he has performed all over the U.S. and Canada as well as offering workshops at festivals and schools. Chulrua recorded three albums on the Shanachie label, their most recent in 2007. Joe Burke, East Galway accordion player, has influenced box players worldwide through his illustrious career. From his first public performance in 1955 and his first albums (released on 78rpm, the last 78’s to be released in Europe!) 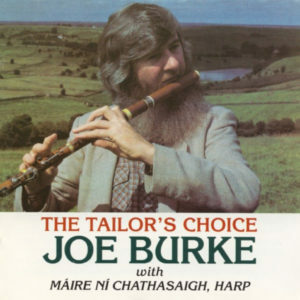 to current recordings and tours, Burke has held a special place in the rolls of Irish traditional musicians. Known for his stylish use of triplets and rolls, he was been the recipient of awards such as the AIB Traditional Musician of the Year Award 1997and Gradam An Chomhaltais 2003. A well-loved and respected teacher, Burke has offered his expertise to students from Co. Leitrim, Ireland to Paris, France, Dallas, Texas and various logging and fishing towns in Alaska. He frequently performs with his wife, accordion and guitar player Anne Conroy Burke and has recorded with many musical greats including Andy McCann and Felix Dolan, Sean Maguire and Josephine Keegan, Michael Cooney and Terry Corcoran, Charlie Lennon, Frankie Gavin, Kevin Burke, Brian Conway, Noreen O’Donoghue and Mike Rafferty. Since she was 18, when she astounded the Celtic music world by winning the Senior All-Ireland Championship, Liz Carroll and her fiddle have been amazing audiences around the globe. Her recordings and appearances on concert stages, television and radio, have established Liz as one of traditional music’s most sought after performers. “Liz’s fiddling is nothing less than breathtaking,” writes Earle Hitchner in the Irish Echo, and Irish music producer P.J. Curtis calls her playing “the most dazzling display of musicianship imaginable” (Irish American). Liz is a renowned composer as well, having written over 200 original tunes. She is a winner of the NEA National Heritage award, an Irish Echo Traditional Artist of the Year, and an Irish-American Magazine Top 100 Irish American. Her album Lost in the Loop (GLCD1199) in 2000 was named Celtic Album of the Year by the Association for Independent Music. Liz has just released her new album, Lake Effect (GLCD1220), featuring many of her original tunes. The album also includes special guests, Irish guitarist John Doyle (a founding member of Solas), the Turtle Island String Quartet, and legendary Irish accordionist Máirtin O’Connor. Liz Carroll was born in Chicago in 1956, to Irish immigrant parents from Limerick and Offaly counties. Her father, Kevin, a button accordion player, began teaching her to play Irish traditional music when she was five, and later she began Irish dancing. A violin class at her parochial school taught by Sister Francine inspired Liz to pick up the fiddle, but her main sources of musical schooling came from her family and the community. She honed her skills at the local Irish Traditional Musician’s Association, learning tunes, technique and Irish culture and stories from veterans like Mayo piper Joe Shannon, Chicago-born fiddler John McGreevy and pianist Eleanor (Kane) Neary. Composing came naturally to Liz, who wrote her first tune at the age of nine. “A melody came to me that didn’t exist anywhere else,” said Liz. “This felt very special; different from learning a tune, or varying one, or hearing one for the first time.” Many of Liz’s tunes have entered the traditional repertoire, played and recorded by Irish musicians the world over. In 1975, after a series of stunning victories in the junior division of the All-Ireland Fiddle Championship, the 18-year-old Liz astounded the Irish music world in both the U.S. and Ireland by winning the senior division championship title. Her first solo album , Liz Carroll (GLCD1092) in 1988 was chosen as a select record of American folk music by the Library of Congress. That same recording was called “a milestone achievement in the career of a fiddler reaching beyond herself,” by Earle Hitchner. In 1994, the National Endowment for the Arts awarded Liz a National Heritage Fellowship award, the country’s highest honor for a traditional musician. She was an original member of Cherish the Ladies and has played and recorded with numerous artists, including her group Trian with Altan guitarist Daithi Sproule and accordionist Billy McComiskey, and with Mick Moloney’s Green Fields of America. Liz has appeared on numerous stages including the Smithsonian Folk Series at Wolf Trap and the First American Congress of the Violin in 1988, hosted by Yehudi Menuhin at the University of Maryland, and toured with rock artist Don Henley. In 1999, Chicago Mayor Richard M. Daley proclaimed September 19th as “Liz Carroll Day” at the Chicago Celtic Festival. Lost in the Loop, released in 2000 to great acclaim, was a long-awaited solo album, made after a dozen-year hiatus to raise a family. The album, produced by Solas’ Seamus Egan, received a remarkable welcome by fans and critics alike. It was awarded Celtic Album of the Year by the Association for Independent Music and a Top Ten Traditional Album of the Year in the Irish Echo, which also named Liz “Traditional Artist of the Year.” Lake Effect, Liz’s latest album, unleashes a blizzard of new tunes and dazzling playing… sure to take the Celtic world by storm! Irish-American fiddler Liz Carroll is featured on the cover of Sing Out! magazine in the Spring 2003 issue. Inside, Liz gives an Irish fiddle lesson, and transcribes a couple of her own tunes from her album, Lake Effect (GLCD1220). Liz was also named one of the top 100 Irish-Americans in the 2003 issue of Irish American Magazine. Lost in the Loop album receives Album of the Year Indie Award (Celtic/British Isles Category) by the Association for Independent Music. The Irish Echo names Liz Carroll “Traditional Artist of the Year,” in January 2000. The Echo’s Earle Hitchner also named Lost in the Loop a Top Ten Traditional Album of the Year. Mayor Richard M. Daley of Chicago proclaims Liz Carroll Day in Chicago on September 18, 1999. Irish-American Magazine names Liz one of the Top 100 Irish Americans of 1995. 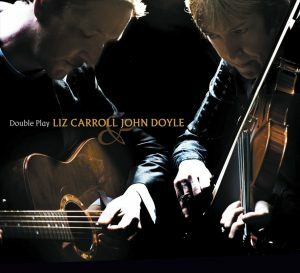 The album Liz Carroll album named a select record of American folk music by the Library of Congress in 1988. All-Ireland Senior Fiddle Champion in 1975. All-Ireland Senior Duet Champion, with Jimmy Keane, in 1975. All-Ireland Junior Fiddle Champion in 1974. 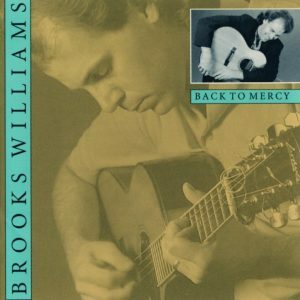 With his stunning bottleneck slide guitar technique and smooth blues vocals, Brooks Williams has mesmerized audiences for over two decades. The Statesboro, GA native has recorded over a dozen albums, including Green Linnet releases Back to Mercy (1992) and Inland Sailor (1994). A highly respected teacher when not on the road, Williams runs the Guitar for Kids program and is a regular on the summer guitar camp circuit. 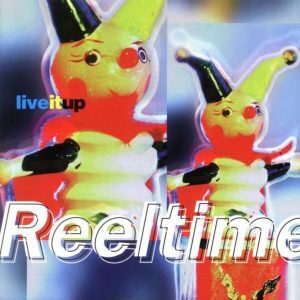 Reeltime is a charismatic Irish quartet that combines stellar instrumental skills with a genius for arranging. Their music has that incredible energy and lift found only in the very best Irish music, but goes even further, with percussive jazz guitar and complementary instrumentation more often found in jazz than trad groups. Centered around the virtuoso duet and unison playing of accordion and fiddle, Reeltime infuses their music with unquenchable energy and humor. Moving easily between Irish traditional, Texas swing, and ragtime, Galway fiddler/vocalist Mairin Fahy and guitarist Chris Kelly debuted their self-titled album with Green Linnet in 1994, followed by Live It Up, (Green Linnet, 1998). The group’s debut earned “Best New Group” and “Best Female Vocalist” by the Irish American News. Their follow-up featured the artistry of Eilis Egan and Luke Daniels on accordions, John Flatley on keyboards, Yvonne Fahy and Jimmy Higgins on percussion, Brendan Power on harmonica, and additional production by Johnny Cunningham. Multi All-Ireland winner Máirín Fahy was playing and dancing by the age of three, and in 1996, Fahy was asked to join the world-touring Irish music and dance phenomenon Riverdance. For the next decade, Fahy was hailed by critics as, “an athlete of the bow,” and “a joy to watch…simply breathtaking,” as she played for princes and kings around the world. Featured in the major motion picture “Devil’s Own”, Empire magazine described her performance as as “haunting with a wicked fiddle solo.” In 2004, Fahy joined with her family to create the musical “Tara”, which premiered to a sold-out Luxor Theter. A regular guest with the Chieftains, Fahy has performed with them across North America, Europe, and Australia. Her own show, “Trad on the Prom”, was hugely successful, and she joined once again with the Chieftans for their 2007 tour before returning to her show. Guitarist, vocalist, keyboardist, percussionist, producer, engineer, and photographer Chris Kelly has lent his talents to several Celtic collections and Irish musicians as well as acts such as Sister Machine Gun, Charlie Hunter, Josie Kuhn, All Chrome, and Rare Bird. In the band Reeltime, Kelly specialized in percussive guitar accompaniment, using rock and jazz chords to accentuate the Irish trad, though his finger-style picking on the band’s slow airs is equally compelling. Calling their new album Sé (pronounced Shay) — Gaelic for Six — may initially sound like a modest gesture from the maverick Irish instrumental outfit Lúnasa. “It’s true that we’ve been fond of direct, one-word titles in the past,” offers flautist Kevin Crawford. “And we did put it to a vote on our website — the fans had their part in it.” But there is something behind the title — an acknowledgement of progress, along with an acknowledgement of all the pressures and rewards born of the band’s willingness to explore new ground and constantly challenge themselves. Over the course of the five previous albums, Lúnasa have consistently taken traditional elements of acoustic Irish music and deconstructed them, welding those elements to bold new rhythmic frameworks that elevate the band’s virtuosity and create a thrilling new fusion all their own. Giving their sixth album a sparse, numeric title is Lúnasa’s way of accepting the challenge before them: they know that they are no longer the hot new band on the block — they are established as innovators, and are unafraid to take chances and continue to expand their music. “We achieved what we wanted with The Kinnity Sessions,” Crawford says of the band’s much-lauded 2004 release and nomination for BBC Radio’s Folk Album of the Year, which captured the driving fury of their concerts with a punchy, live-in-the-studio recording process. 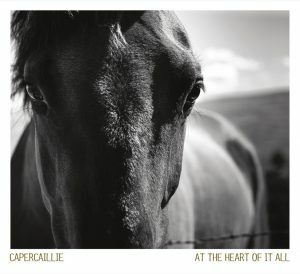 “We were looking to create a more produced, studio-oriented album this time around.” The band’s lineup — Sean Smyth (fiddles, whistles), Crawford (flutes, whistles), Cillian Vallely (Uilleann pipes, whistles), and Trevor Hutchinson (double bass) — is capable of a wide range of textural variations, whether breaking off into intriguing sub-groups or in dizzying full-band counterpoint. Sé takes advantage of the Lúnasa’s resourceful musicianship, and also brilliantly uses a seismic shift in the band’s development as an opportunity to expand their sound. “Donogh Hennesy bowed out last year,” Crawford explains, referring to the band’s founding guitarist. Hennessy’s precise fretwork was ingrained into the blueprint of their sound since the inception of Lúnasa. Rather than run out and find a Donogh clone, the band enlisted two musicians to fill the guitar role. Each contributes to Sé, individually on some tracks, and together on others. Tim Edey provides shimmering nylon-string accompaniment, whereas Paul Meehan adds steel-string. “Before it would have been Donogh layering things,” says Crawford. Now it’s two minds, interacting and contributing their own concepts and reactions. The result is a wider array of colors, and intriguing new variations on the band’s rhythmic core. Also notable on Sé is the haunting electric guitar of Conor Brady, particularly his electric slide guitar (another new color for Lúnasa) on “Boy in the Boat.” On the stately “Midnight in Avilés,” another guest, Karl Ronan, provides an elegant overdubbed trombone choir. The new avenues opened up by Sé are seamlessly grafted onto Lúnasa’s instantly identifiable foundation, thanks to careful tune-selection and the production of bassist Trevor Hutchinson. “When it comes to finding material, Cillian and I start the process,” Crawford says. “We dig through hundreds of CDs, LPs, mini-discs, etcetera. We’re looking for something that’s unusual. Something that might suit the band, and hasn’t been widely recorded in the past.” For Sé, Vallely and Crawford started with over 200 tunes. They learned them inside and out, experimenting with different keys, rhythms, and meters. They then presented the songs to Trevor, Sean and the guitarists, working out how the accompaniment could strengthen and amplify the initial qualities that first drew them to the material. The individual songs are fashioned into sets (medleys), which spiral upward in intensity — often incorporating a number of different grooves within one set. One of Lúnasa’s trademarks remains their unique ability to modulate from one rhythm to another, while making the transition seem like the next logical step in a set’s unfolding drama. Making a new album, Crawford concludes, is a challenge on more levels than is first apparent. “It’s not really easier for us!” he says with equal parts exhaustion and awe. “It gets tougher with each album — because you are constantly trying to make it sound fresh, but still sound like Lúnasa.” Fortunately, from day one Lúnasa has had a refreshingly edgy sound all their own — one that incorporates the haunting modality of traditional Irish music with a jazz-like fluidity and the unrelenting drive of the most well-oiled bluegrass bands. Sé is the hard-won, hand-hewn next step in Lúnasa’s unending evolution. Scottish Fiddler, Johnny Cunningham was widely regarded as one of the world’s best. A founding member of Silly Wizard, Relativity, and Celtic Fiddle Festival, Cunningham was known for his lightning-fast reels and hauntingly beautiful Scottish airs. 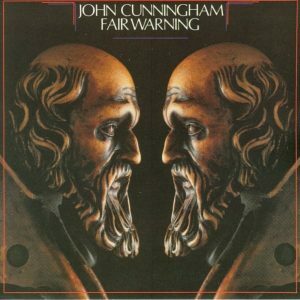 Throughout his career, Cunningham also was a member of Nightnoise his own alternative band, Raindogs, and various theatrical productions. Ffynnon is a trio from Wales, performing songs deeply rooted in the rhythms, traditions and landscapes of the British Isles. Their repertoire includes traditional songs sung in Welsh, as well as music from Scottish, Cumbrian, Breton, and other Celtic and English sources. The band is based around the singing of Lynne Denman and Stacey Blythe, accompanied by keyboards, fiddle and accordion. The late Dave Reid was a third member, contributing masterful six-string bass to Ffynnon’s Celtic Music from Wales album on Green Linnet Records. Ffynnon has toured in America, Brittany (France), the Sudan (funded by the British Council), and all over Britain. They have appeared at the Chicago Celtic Festival, and on S4C TV (Welsh-language TV), BBD Wales, BBC Radio Cymru, and Radio Wales. They performed at the national and International Eisteddfodau (Welsh Music, Literature and Arts Festivals), and headlined on ’Gwerin y Werin’ program on Welsh-language TV channel S4C . Ffynnon was voted the ’best band’ at Gwyl Glyndwr, Machynlleth (festival in mid-Wales). Lynne is in the vanguard of the new, exciting breed of singers emerging in Wales today from the older tradition. She has sung and performed throughout Britain and Europe and NE Africa and appeared regularly on Welsh national television and radio. She acted as researcher and advisor in modern Celtic music at the Celtica Interpretive Centre in Machynlleth. She performed at the Festival de cinema de Douarnenez and the Kann al Loar, Landerneau, Brittany with Sanfferian and sings on a regular basis for the National Museum of Wales. Playing a wide variety of instruments, Stacey studied at the Welsh College of Music and Drama where she now lectures and runs workshops. Recent collaborations include: research on traditional ballads with Frankie Armstrong, work with Meredith Monk and premiering a new work by her at the Queen Elizabeth Hall, London. She is currently working as composer on a new independent film. Dave Reid plays a six-string bass guitar, and was a popular and active figure on the jazz scene in Wales and London. He also worked regularly for TV and radio, both as a musician, a presenter of music programmes, and as a writer of satirical sketches and radio scripts. Dave worked for six years with Welsh artist Meic Stevens a’i Fand, touring regularly in Brittany and Wales and recording ’Life and Death’ with in 1989. David Reid, member of the Welsh group Ffynnon, died of a heart attack in New York on Monday, 13th January 2003. Dave was a six-string bass guitar and piano player, composer, arranger and poet. According to Dave’s Geordie granny, he was a “skitty bugger”* like her. From the time he was sent to Dan Dare School (school for the blind), until his death, he never stopped creating great music, literature and humourous havoc to the inspiration of all of his friends. Arriving in sunny New York from damp Wales, his home for 30 years, to showcase traditional and new Welsh music at the Arts Presenters conference in January 2003 with his band Ffynnon, he said “Ah my loves, my place is in the sun!” He was thrilled to be in New York and have a chance to listen to jazz. But Dave was always in the light, never in the dark, because while most blind people “see” darkness, Dave interestingly enough always “saw” only light. Dave was a valued member of Ffynnon, who are the first Welsh band signed to Green Linnet Records. 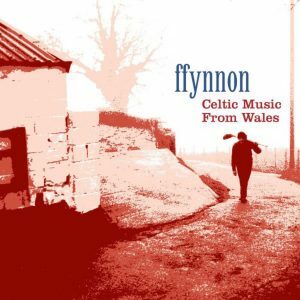 He played on Ffynnon’s recent Green Linnet release, Celtic Music from Wales (GLCD1221). Dave had two volumes of poetry published, Fox Horizon Blues and Truth Street, the latter of which is available through Lighthouse Publishing in Cardiff. He was working on a novel entitled Late Afternoon at the Entrophy at the time of his death. He performed on numerous albums and with many bands. He played recently with Meic Stevens throughout Wales, but particularly at Meic’s 60th birthday concert at the National Eisteddfod. Meic’s new CD, which Dave played on, was launched there- Ysbryd Solva (The Spirit of Solva – Meic’s home village on the Pembrokeshire coast). He also played on Meic’s album ’Life and Death’. He was a member of the Cardiff Jazz Society and also performed with the Paul Hampton Trio. Dave Reid’s Ffynnon bandmates and dear friends say that, He has left a huge hole in the fabric of our lives. His sudden and unexpected exit has denied us a river of jazz-inspired, intelligent guitar music and left us in the dark. *Newcastle City Library: ’skitty bugger’ is someone who likes a laugh and a joke.